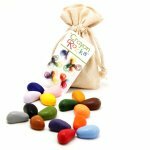 Just Rocks in a Box 64 crayons / 16 different colors. Our Just Rocks in a Box was designed for the artist in everyone! There are 4 of each of our 16 primary and pastel beautiful colors, making up a box of 64 crayons. Designed to strengthen the tripod grip muscles in young children and improve motor coordination, in older children they enrich the creative experience of art. 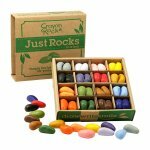 The Just Rocks Box is a rich pallet of colors for any artistic endeavor. Just Rocks are designed to strengthen the tripod grip muscles in children and improve motor coordination, in older children, they enrich the creative experience of art. 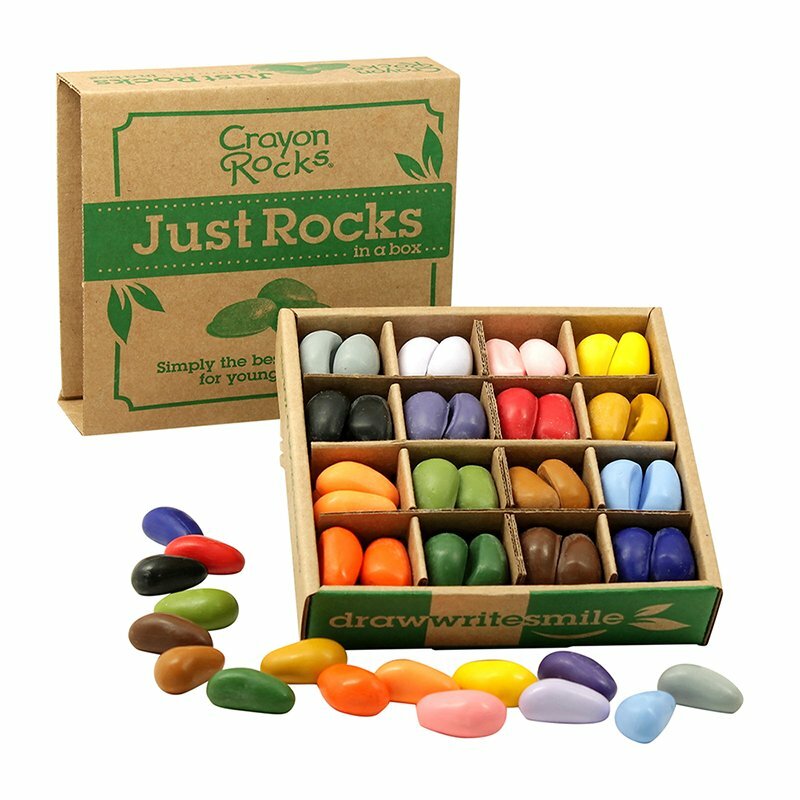 The Just Rocks Box is a rich pallet of colors for any artistic endeavor. Each crayon is eco-friendly, non-toxic, and a product of USA. Not suitable for children under 3 years of age. May present a choking hazard.